Today, Dhurnal is a highly developed settlement. It is linked by road to many nearby towns and cities. 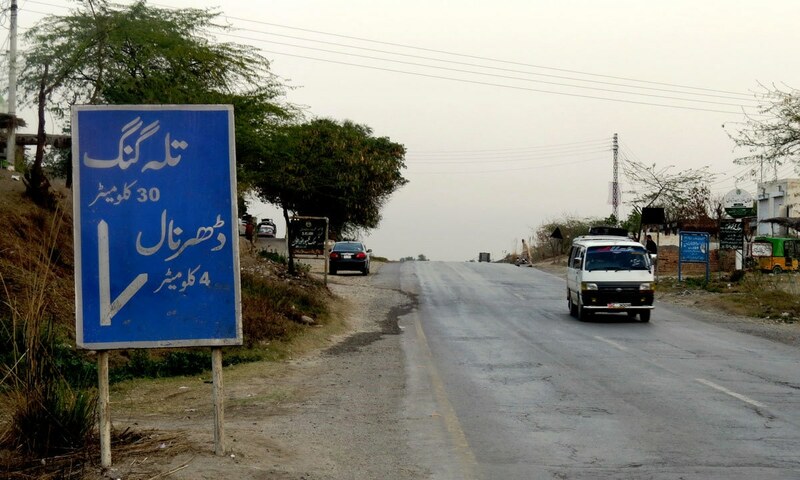 (The tehsil town of Tala Gang is 45 kilometres to its east and Chakwal city another 45 kilometres in the same direction.) It has two government high schools for boys and one for girls. It also has separate degree colleges for boys and girls. The literacy rate, especially among women, is higher in Dhurnal than in most other villages across Punjab. The decision to bar women from voting was taken just before a general election in 1962. 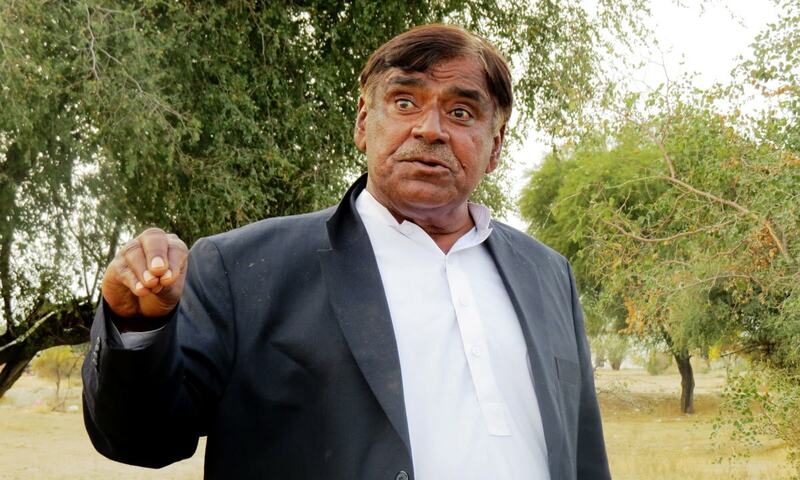 Several people had died in the village before that election in a feud between two local groups, says Zohar Khan, a 63-year-old local resident. Women were seen at the core of all that violence so a local panchayat, led by the then village head Meher Khan, decided to keep them away from polling and voting, he says. Dhurnal is part of the National Assembly’s constituency NA-61 and Punjab Assembly’s constituency PP-23. A report published in the daily Dawn on January 01, 2017 says only 4.42 per cent of all women voters in NA-61 came out to vote in the 2013 general election. It was one of the seven National Assembly constituencies in Punjab where the turnout of women voters was less than five per cent. Dhurnal has a population of more than 15,000 and Awans – referred to as maliks – are the dominant caste here. 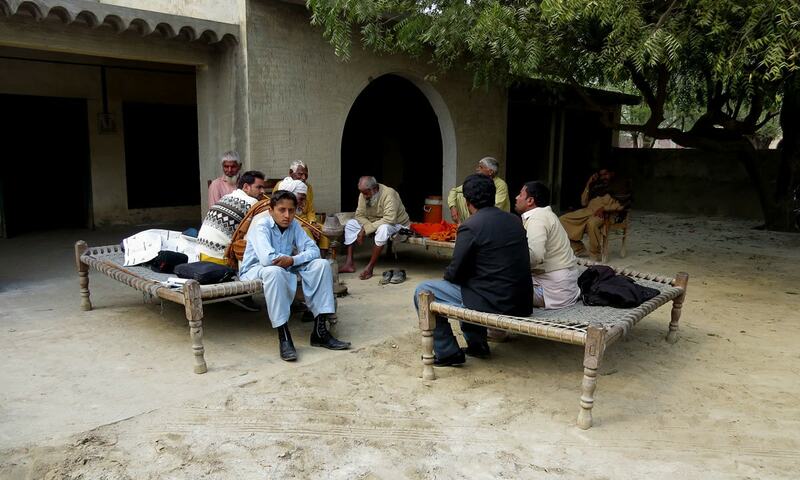 The village has about 11,000 registered voters, according to local officials of the Election Commission of Pakistan (ECP). Slightly less than half of them – about 5,000 – are women. What makes the permission impossible is the collective and religious nature of the ban. 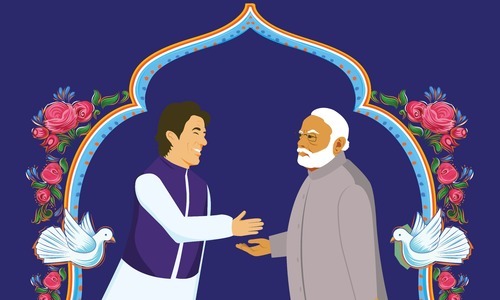 When it was imposed, every elder in the village endorsed it and then they raised their hands in prayer, seeking divine validation for their decision — a process locally known as dua-e-khair. No single household can violate it. Otherwise, it will face both social and religious boycott. Until another panchayat makes a collective decision to let women vote and then seals it with a prayer to God, there is no chance that the ban is breached or overturned, she says. Women are not allowed to vote in many neighbouring villages either, such as Dhaular, Balwal, Mogla and Dhoke Dhall. And for the same reason: men have made a collective decision against women’s participation. An ECP document shows that not a single woman cast her vote at the 17 polling stations set up in these villages for the 2013 election. Sher Afzal, a member of Union Council Dhurnal, which includes all these villages, is the area’s only publically elected representative associated with Pakistan Tehreek-e-Insaf. He, too, canvassed only for male votes when he ran for local government elections in 2015. “We are slaves of our own traditions. Asking women to participate in political affairs is considered a sin here,” he says. The large village of 111/9-L Jahan Khan, 15 kilometres to the south of Sahiwal city, stands out for its conservative customs. With nearly 10,000 residents spread over three separate settlements – Jahan Khan Hatay, Shadoo Kay and Kubbay Kay – and consisting of over 1,000 households, it has a complete ban on voting by local women. In none of the national and provincial level elections since 1947 have the female residents of Jahan Khan cast their votes. Joyas take pride in being members of a high caste. Their women observe strict pardah and the idea of family honour is extremely strong among them. Allowing women to cast votes for strangers is something they consider against their caste pride and religious ideals. “Are we men dead that our women have to leave their homes to cast votes?” says Shakar Khan, a 55-year-old local resident. Predictably, he comes from a Joya family. Women who take part in any political activity are “vulgar” in his opinion. The same goes for women who become “ministers and appear on television screens for interviews”. Only low-caste women, according to him, can be allowed to take part in political activities. The lady councillor from the village comes from the menial Machhi caste. Knowing that the turnout of women voters has been zero in previous elections in Jahan Khan, the ECP set up a separate polling station in Jahan Khan Hatay during the 2013 general election for the village’s 685 registered women voters. None of them came to the polling station to vote. Khuda Yar, 51, a resident of Shadoo Kay settlement, reveals that women are bound to abstain from voting by a decision made by the village elders as far back in 1962. “We have inherited this decision and we have tried our best to uphold it,” he says. 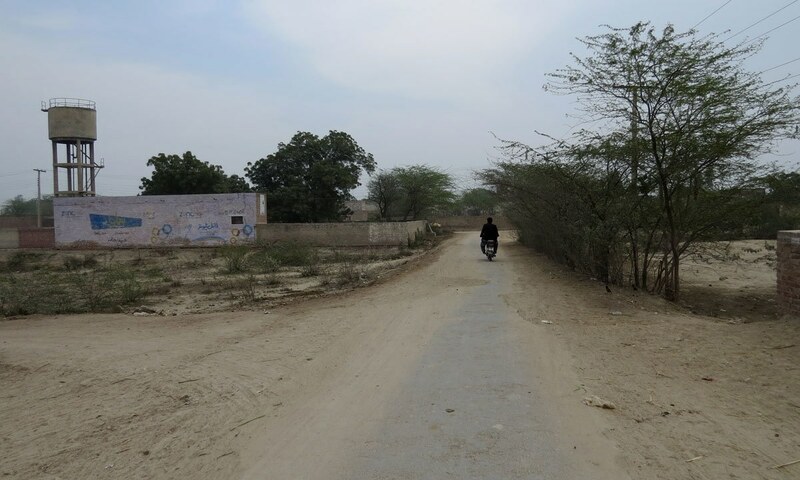 Many locals say the reason why women in the village do not vote is that they are afraid to be in public spaces – a point of view also espoused by Mukhtaraan. “If men guard women and ask them to vote, they will,” she says. Sabira Bibi, 28, is Jahan Khan’s lady councilor. 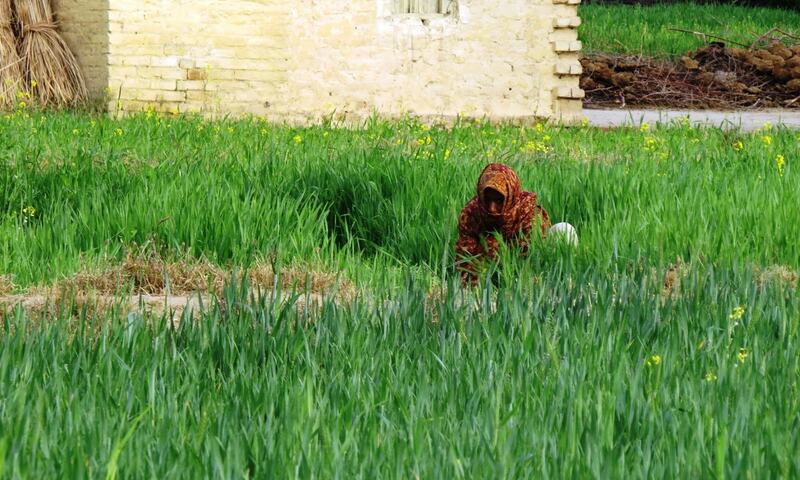 She is uneducated and lives in a single-room old house with her husband and other members of her family. She is surprisingly well aware of the power that politics can bestow on women. “Unfortunately, men cannot tolerate empowered women,” she says. Those from Jahan Khan still didn’t vote. “We faced huge resistance in Jahan Khan. Men in the village did not want us to stage our play there. We still went ahead with it in the presence of police but it attracted a very low female attendance,” Alweera says. Chak No 295 JB Devidas Pura used to be a Hindu-majority village before 1947. 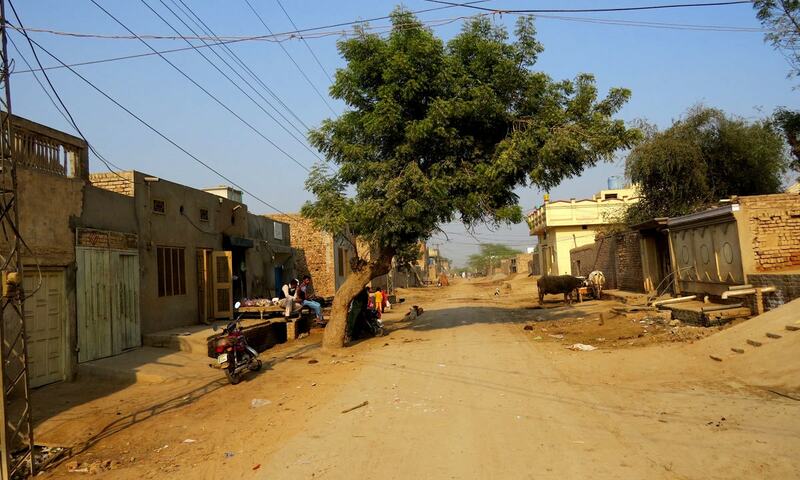 Located at the end of a link road that connects it to the main highway between two towns, Gojra and Toba Tek Singh, the village is now inhabited mostly by the descendants of Rajput migrants from east Punjab. Some Gujjar and Arain families also live here. Devidas Pura has a population of over 4,000 and has 1,965 registered voters — only 716 of them are women. One major reason for this huge disparity in men and women voters is that the latter do not have Computerised National Identity Cards (CNIC), a mandatory document for anyone who wants to register as a voter. Originally, women from only Rana families were barred by their men from voting, but the ban gradually expanded to other families as well. “Women cannot go to a place like a polling station where men are gathered in large numbers,” says Rana Muhammad Jabbar, 40, a local resident. “If women leave their houses and go to a place where men are present, something unpleasant is bound to happen. That is why men do not allow women to leave their houses without their permission,” he says. Some signs suggest the male consensus against women’s voting is not as watertight as it was until recently. Rana Shahbaz, 32, who has worked as a PMLN activist while studying at Punjab University in Lahore for his MPhil in international relations, is one local resident determined to overturn the ban on women voting. Working in collaboration with the Free and Fair Election Network (FAFEN), a conglomerate of civil society organisations, he recently arranged three meetings at his residence for over 150 women to train them on the importance of voting. Higher education is a trap that may turn away young girls from our caste traditions. This election in Lower Dir is a re-polling. 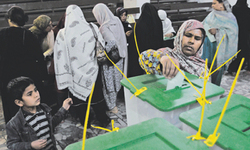 It is taking place after the ECP ruled on February 6 that an earlier polling held for a local government seat in the district was invalid because less than 10 per cent of registered women voters had cast their votes. For polling to be valid, there needs to be a 10 per cent women voter turnout, as per the Elections Act 2017, promulgated on October 2, 2017. 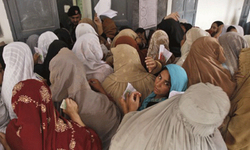 “If the turnout of women voters is less than 10 per cent of the total votes polled in a constituency, the [Election] Commission may presume that the women voters have been restrained through an agreement from casting their votes and may declare polling, at one or more polling stations or election in the whole constituency, void,” reads the relevant section of the act. They have two objections: the ECP has given them only 14 days to mobilise the voters and the condition of 10 per cent women voter turnout violates local customs. “In our culture, it is deemed insulting if you ask someone to take the female members of his family out of his home to help them cast their votes,” Ahmedullah explains. Abdur Rasheed Khan, a member of the Munda tehsil council in Lower Dir district, agrees with Ahmedullah. Associated with the Awami National Party (ANP), he says political parties can sacrifice seats in village councils and tehsil councils but they will not defy local traditions. Malik Ulfat Hayat, one of the contesting candidates, is present at the polling station — not to cast his vote though. He is here to ensure that other candidates do not bring their voters to the polling stations. 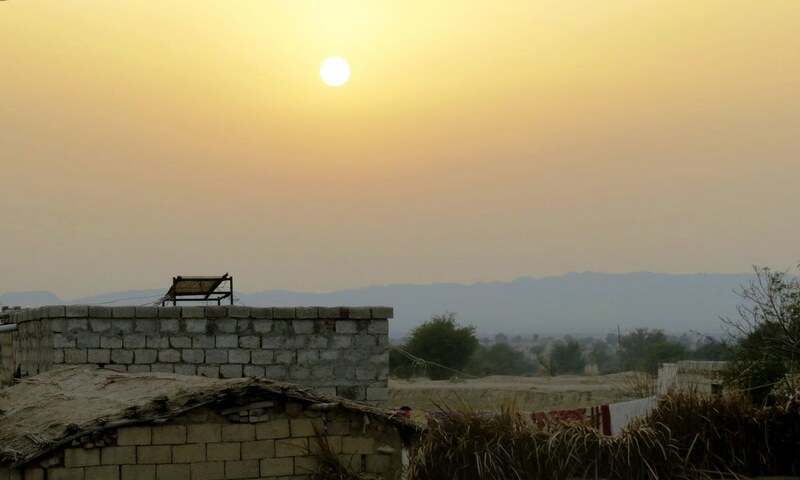 Murad Ali, an ANP worker in the village, is certain that the deserted look of the polling station is due to a “silent protest” against the condition of 10 per cent mandatory women votes. It is a shame for a party like his own to become part of any agreement that restricts women from voting, he says. Barring women from voting, according to him, is akin to insulting the leadership of a liberal and progressive party like ANP. Saira Shams, 40, is a district council member in Lower Dir district but she has never voted herself. “I am against women voting,” she says. Associated with the Pakistan Tehreek-e-Insaf (PTI), she has no problem with men disapproving of women coming out of their houses to vote. One major reason for this huge disparity in men and women voters is that the latter do not have Computerised National Identity Cards (CNIC). Ghulam Rasheed, an ANP member in Lower Dir, says the mandatory condition of 10 per cent female votes may bring about the change women need to start casting their votes. Some signs of this have appeared already. Only two women had cast their votes at the Government Girls Higher Secondary School polling station in Ziarat area of Lower Dir in the last polling held here on December 21, 2017. As many as 256 women cast their votes at the same polling station on February 20, 2018. In the union council where this polling station is situated, 806 women cast their votes in the most recent poll, constituting 12.82 per cent of all women voters registered here. This is certainly an improvement over almost zero women votes cast in earlier elections in this union council. One of the major factors behind this gap is that, since the 2013 general election, the possession of a CNIC is a mandatory requirement for a citizen to be an eligible voter. The same laws also provide that a citizen automatically becomes a voter by obtaining a CNIC — no separate registration with the ECP is required any more. This means the National Database and Registration Authority (NADRA) essentially registers Pakistanis both as citizens and voters. The National Commission on the Status of Women (NCSW), however, has estimated that it will take 18 years to bridge the existing gap between men and women voters if 5,000 new CNICs are issued to women every day. An analysis of NADRA’s registration capacity shows that it cannot achieve even that target. On average, it can issue 6,966 CNICs every day — 3,862 to men and 3,104 to women. These numbers suggest it may take close to 27 years to end the existing gap between men and women voters. Put increase in the population into the mix and a solution will look like it’s almost impossible. A recent ECP study has aimed to find various problems that women face in getting CNICs. A large number of respondents – 27 per cent – said they did not need a CNIC; another 24 per cent said they did not have the time to get one. Only 13 per cent said their male family members did not support the idea of women getting CNICs. This explains why the CNIC requirement has had an unintended impact on the registration of women voters. Suddenly the number of voting-age women who are not registered as voters increased by 32.9 per cent between 2008 and 2017, according to a study done by NCSW. Do Pakistanis vote on an ethnic basis? Please give mothers,sisters,wife and daughters the same right to vote as you want it for your self. You must fight for their equal rights as well. wow! In this day and age still women are not even allowed to vote in pakistan... What a backward society! voting is fundamental right ... Where is election commission ... If any one stops anyone from voting that election should be void and null. Correct me if I am wrong..
Why bans persist on women voting across Pakistan: the most significant ban is based on the intrinsic inferiority of women when compared with men which stated very unequivocally in Science. From Science we , Pakisatanis, know for sure that women are only half trustworthy as men. So how can we permit women to vote just the way we allow men . At the most what we can do is to allow only 50% of the woman in the voting age group to vote . This is the maximum percentage of women who may be allowed voting rights taking into consideration the state of the pathetic state of the mind of women as enunciated in our immutable Science. @Patriotic Pakistani by "the pathetic state of the mind of women as enunciated in our immutable Science." are you referring to constitutional rules about degree of validity in women's testimony (compared to validation of men's testimony) in courts or in religious dictates? or in both? It's interesting to know how cultural values and norms are used as tools to ban femininity in political process. It's the true implications of make dominant social. Males use their traditional leverage to maneuver the situation to their best advantage. Laws and machinery of the state should display activism in protection of individual's rights. “Higher education is a trap that may turn away young girls from our caste traditions.” NO! higher education is the key with which to escape caste traditions! This is completely unacceptable. The government needs to step in and bring charges against anyone attempting to prevent women from voting. Kudos to dawn on publishing this article. In comparison, more women than men vote in India in almost every single election. Voting is the fundamental right of every person either male or female. It's so sad to know that in this modern and 21 centaury still women face such a bad situation and restriction that women’s can not even cast a vote with their will. Government needed to promote women’s rights, so they could be “agents of change” to sustained socio-economic development and security around the world. Due to this patriarchal society and ban on women voting rights also effect the situation of country. when women's not participate and cannot cast the vote we can not select the right person as president because every one not participate equally and share their thoughts then we face issues. we have to take stand for this injustice behavior and we should not make culture as a barriers in development. This is completely unacceptable. The government needs to step in and bring charges against anyone attempting to prevent women from voting. The government should also take some responsibility to make turn out maximum. To cast vote is the basic right of every men and women. Norms and vales are made for the facilitation of people not to bound them in a cage. More than half of the population of Pakistan consists of women so they must have a right to give their opinion. Cast a vote is the basic and fundamental right of women.Through which they can express their point of view which can benefit for them in future through policies making by the government.Patriarchal society does not allow women to take part in voting.Awareness should be spread and campaigns are organized to make people aware of their rights. Its disgusting that women are not allowed to cast their vote by their own desire. Government of Pakistan should have to take positive steps to promote voting right of women. Now a days, everyone have separate rights and voting is a fundamental right of every individual. In Pakistan few female caste the vote by their own chooses but in many areas females are willing to cast the vote but due to their cultural norms,value they couldn't able to cast vote. So we shoul fight for equal rights of females and males. Basically purpose of vote is to get feedback of every person of society to select a perfect Leader. If we ban on women's vote then this purpose will badly affected and we can't be able to select a perfect leader. It is necessary for women to cost their vote for the selection of good leader.it is fundamental rights of women to cost their vote according to their choice. Government of Pakistan should promote voting of women.Government should provide awareness to women about the importance or value of their vote. It is a far reaching comprehensive writing highlighting crucial social, ethical and religious issues. We as a whole do not believe on gender equality which inhuman in its own nature. One she who can birth, feed and grow you why she is not given the right to choose some one for the betterment of society. Our slavery thoughts, rigid social behaviours and conservative customs never let us to grow rapidly towards our destinition. We believe on supermacy of thoughts, rule of law and democracy as a system of govt but why we are not leting a huge force of society to took part in electoral systems ? Moreover; it expressed with distinction that some national level faming leader's constituency has not allowed their women to get CNIC its the matter of their respect and prestigiousness. National level organisations and NGOs are working to add women in main national stream but they are still facing many more issues due to social norms. Even women have addicted to this rigid system and could raise their voice for their right. One she who raises voice is buried down with very respectivly crual manners. We have attached the feminism with religion which can ever never be rightious. Islam always gives rights to women patiently. At the end i being a lady want share some more gestures about the gender equality and rights of minioritirs. I wish one day our country become Mr. Jinnah's country where the supermacy of thoughts as a constituent with rule law exists. It is really to suport women as to aware his tights of vote and they should do that this is not men cage which they face many difficulties this is highly to focus this change and support women as work participants along with family and contribute for the development of country and inc4ease economy of country as well.they have right to vote and they do that which they want. Right to vote is a basic and fundamental right of every men and women but due to patriachairical society women are not allowed to cast their in some areas of Pakistan. Almost half of the population of Pakistan is based on women with out their political participation how can we bring change in certain circumstances. Vote is a power in the hands of masses to express their wish and also women's have this power.womens should have freedom to cast their votes.The involvement of women in political affairs is very important for policy making in the favour of women's. its just our wrong thinking to stop women from vote casting.infact women should have equal rights to elect their leaders as well as men.so have a legislation should be made against this so every women could come outside and cast their votes. Electoral system is not gender neutral.For elections to be truly free and fair women, women must have the same opportunities as men to participate in all aspects of the electoral process.women should have an equal chance to serve at all levels within local and national election bodies.women should have to creat platform to ensure women voice, design a nd conduct voter registration and education campaigns targeting women. Vote casting is a basic right of every human being but in Pakistan females can't cast her vote by their own choose. In Pakistan's Law female and male have equal rights to cast vote but in few areas due to cultural value, female can't cast the vote by their own choose.Government should implements on polices and we will work for vote casting and human rights. Vote casting is the basic right of male and female. In Pakistan constitution, it is compulsory for male and female to cast a vote. But it is a pathetic situation that women could not cast a vote by their willingness in our country. This is completely unacceptable. The government needs to step in and bring charges against anyone attempting to prevent women from voting. population of Pakistan mostly consists of women so they must have a right to give their opinion.If we ban on women voting than it effect the development of our country. this article shows that pakistan are highly caste system and close system. many of young girls of toba tak singh village want to use the right of vote but not cast the votes because of male elders have heavy costs involved. this article shows the huge disparity in men and women because many of the women are not have personal CNIC and shows inferiority of women in pakistan. Vote is basic right of every person and according to law everyone should cast the vote by their willingness and choice. But in Pakistan due to cultural barriers women can't cast the vote by their own choice. We should fight for our rights and getting the decion making power. Every women have basic right to cast the vote by her willingness and no one have right to stop her. Women is important part of country so they should be cast the vote for improvement of country. So much poverty and backwardness is there in pakistan why do you fudge your data to show there isn't?